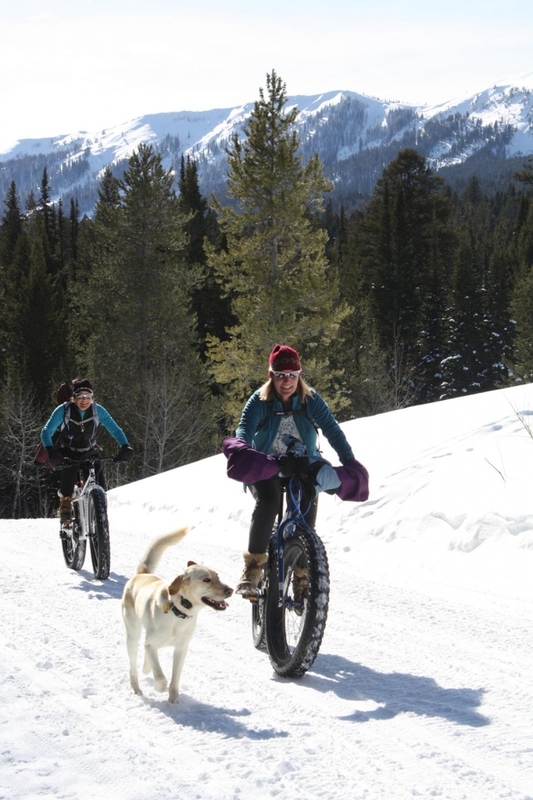 With winter setting in, we’re celebrating the newest way to bike off-season: riding with fat tires on our many miles of groomed trails at Turpin Meadow Ranch or in the surrounding Tetons area. With the latest craze in big wheels, your biking season can be extended on snowy trails alongside other outdoor enthusiasts. Before you head out, you might want to review this list of items to bring. Regardless of ability or experience, if you’re looking to have the best fat bike experience possible, here are additional tips for sharing the trails when riding this winter. On our 9+ miles of groomed trails, or any trails you may encounter, here are some fat bike tips and best practices that may be helpful. Only ride at ski areas that allow and encourage biking (such as Turpin Meadow Ranch). Yield to all other users when riding. Skiers don’t have brakes, but bikers do! Ride on the most firm part of the track at any given time. Don’t ride on (or in) “classic” tracks, or the parallel grooves made by Nordic skis. 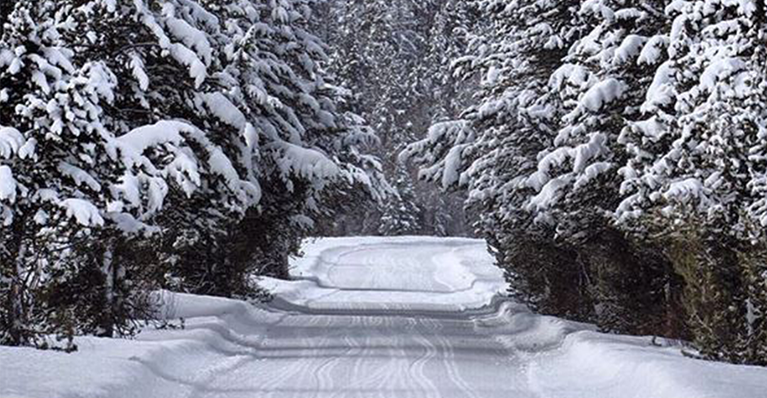 Leave room for skiers to pass; similarly to trail or pavement riding, you’re sharing the path with other recreators. Be an ambassador for fat biking: stay polite, educate and help regulate other riders about best practices, discourage bad behavior, and follow the rules of your local spot (or these principals when no local rules are present), such as alternate-use days. Trails at TMR are open to friendly dogs and their well-behaved humans. Please don’t leave behind any human or canine waste. Turpin Meadow Ranch proudly sits on a spur of the famous Continental Divide Trail, with over 500 miles of groomed adventure. If you choose to ride fat bikes on snowmobile trails, here are a few more tips to help ensure you and your fellow riders have an enjoyable experience. Use a front white blinker and red rear blinker at all times. Wear reflective material on both front and rear of your body to help increase visibility and reduce chance of collision. Use extreme caution if you will be out after dark and bring the brightest lights you can find. Find out if your lights require batteries (as opposed to kinetic or solar energy) and bring backup batteries. A headlamp is also recommended for safety at night. Know and obey the rules of the local land manager; when in doubt, ask our staff. Some of the property you encounter may be owned by other private entities, or be managed by the National Parks Service, and not open to fat bikes. Make sure to bring adequate food, water, clothing and safety equipment for all possible conditions, particularly avalanche and after dark use. An independent GPS device (not requiring mobile service) and periodic coordinates notations are recommended. Be friendly! Remember that bikers are the newest users of winter trails. Courtesy and being open to suggestions from snowmobile riders will go a long way to ensure trails are shared successfully. Biking is a fantastic way to cover lots of terrain, which means taking in more scenic wonder of the area, and we can’t wait until you make it happen.